What fun we had this past weekend with these two! Luke and I are so looking forward to their wedding come October! It is going to be a fun day watching these two! 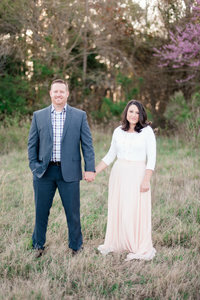 Sara & Alex have been together since High School…That’s right…High School Sweethearts! Alex joined the Navy after High School and Sara later followed him up to Virginia. They have a beautiful little girl together and are ready to start their lives as husband and wife! I love Sara’s style. She LOVES polka dots and plans to incorporate them into her wedding. I cannot wait to see what she comes up with! So unique and fun! Oh and we have a lot in common! She works as an Ultrasound tech where I used to be a Mammography Technician! We have the same old stomping grounds! Too bad we missed each other by a few years, we would have had fun together! They had us laughing throughout. I don’t know who had the better model face in the end…They were in constant competition with one another! Yorktown Beach made for the perfect location as it has so many hidden little spots that you can go into. We found so many cool places that we haven’t seen before and I don’t know how many times we have been up that way! We ended the time with some Ice Cream at Ben & Jerry’s. What better way to end any session! Alex & Sara, you two are such a joy to work with and we are thrilled to be capturing your wedding day! Hope you enjoy these pictures from our session together! Love to you both! Love this one! Anna you are too cute! Oh Sara…You are a classic beauty! Look at these two! Such naturals! Such a gorgeous little girl who knows how to rock the camera! And then a fun ring shot from some sprinkles from Ben & Jerry’s! Beautiful photographs! You have truly captured the love between this couple and their gorgeous daughter. Even though I am partial since Sara is my daughter I commend you on being a blessing to my family. May God bless you as you continue on your journey of telling others’ love stories through photography. Thank-You Gail! Your daughter is truly gorgeous and they are both such fun and sweet people to be around! Looking forward to their wedding and hopefully I will get to meet you there! The Photography is just AWESOME !